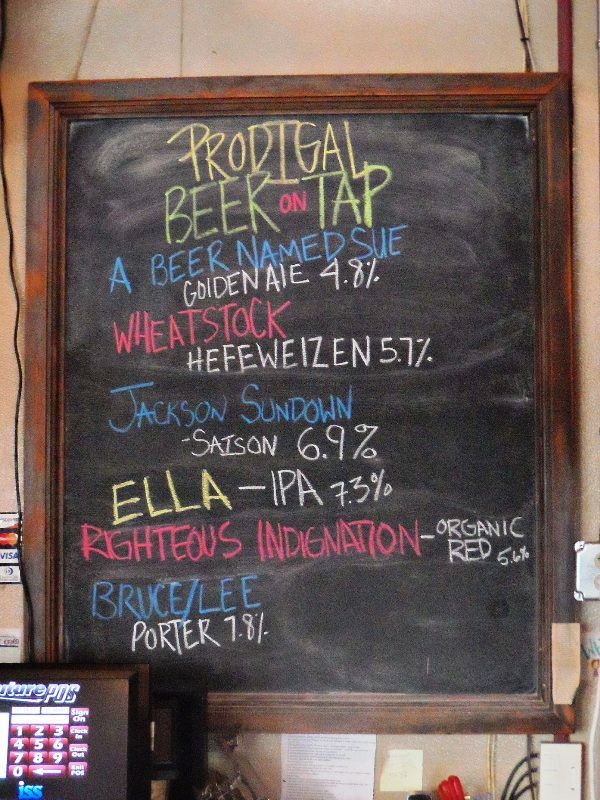 Prodigal Son Brewery & Pub has seven house-brewed beers on tap (one was off on our visit) plus a guest tap. The list is fairly wide ranging for a brewpub: A Beer Named Sue (Golden Ale), Wheatstock Hefeweizen, Righteous Indignation Organic Red, Sun Ra Belgian Ale, Splendor in the Glass Ver. 3.0 (dry-hopped Pale Ae), Ella IPA, and Fatted Calf Sacrificial Stout. The Ella IPA was quite special. The atmosphere in the pub is quite good - comfortable, welcoming, and local. It's well worth a visit. 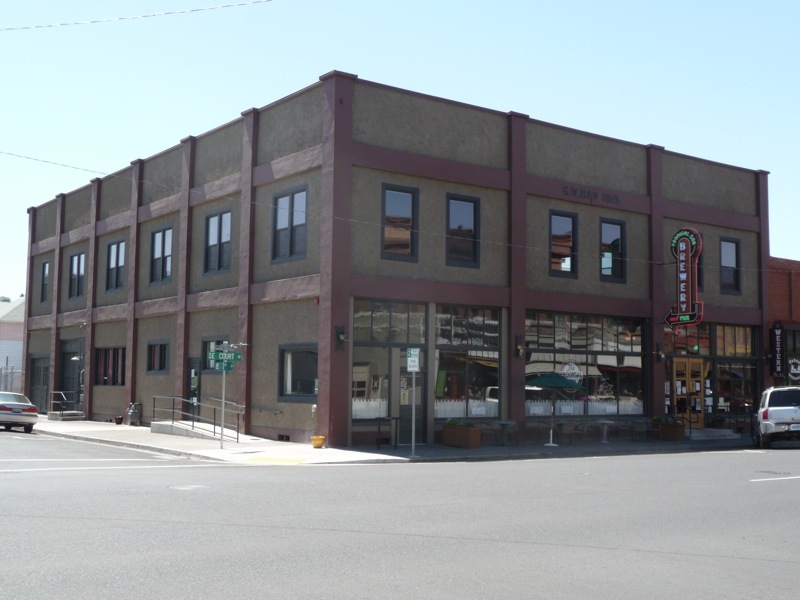 The brewery is in an historic two-story brick building that was once home to an indoor car dealership on a corner near the eastern end of â€œold townâ€ Pendleton. 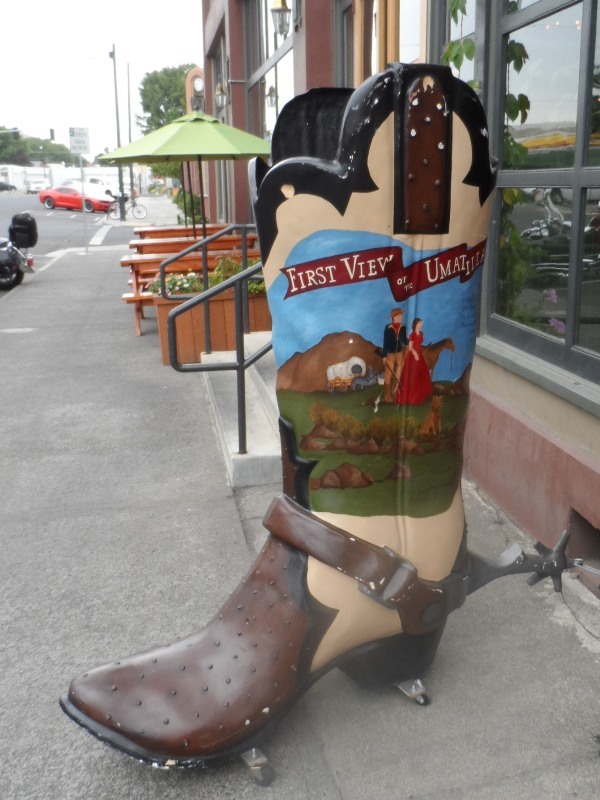 The front entrance is a few steps up from the sidewalk, where there are a few tables and chairs from which you can sip a beer while watching the traffic go by on old US 30. Inside is a very large space with concrete floors and a double height mostly unfinished ceiling with the original wooden beams and posts that support it. Old-fashioned lights and ceiling fans hang from the ceiling. One long wall is painted brick - painted with original (or original style) old-fashioned advertising murals. 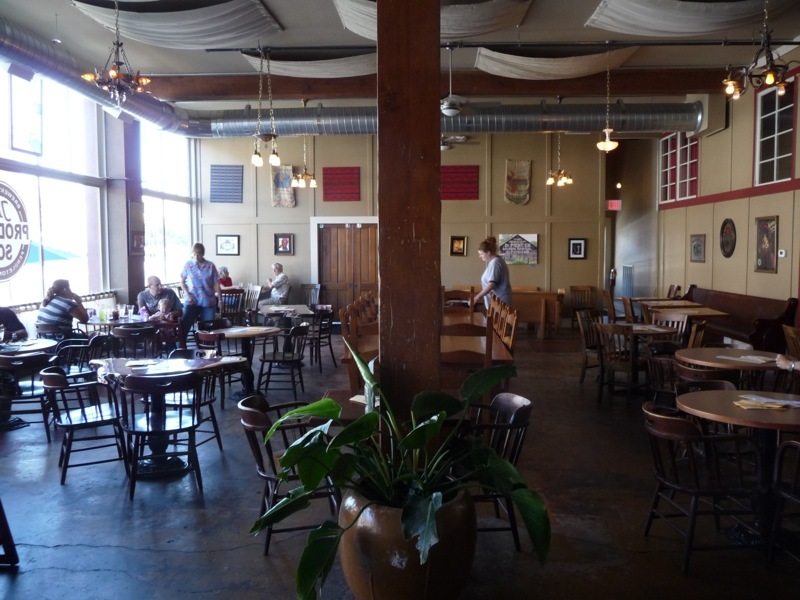 The front has dining seating with many wooden tables and chairs, and there are full windows (facing north) providing a lot of light. The bar is towards the back. It's fairly small but is a very nice oak 3-sided bar with miscellaneous tall stools and chairs. 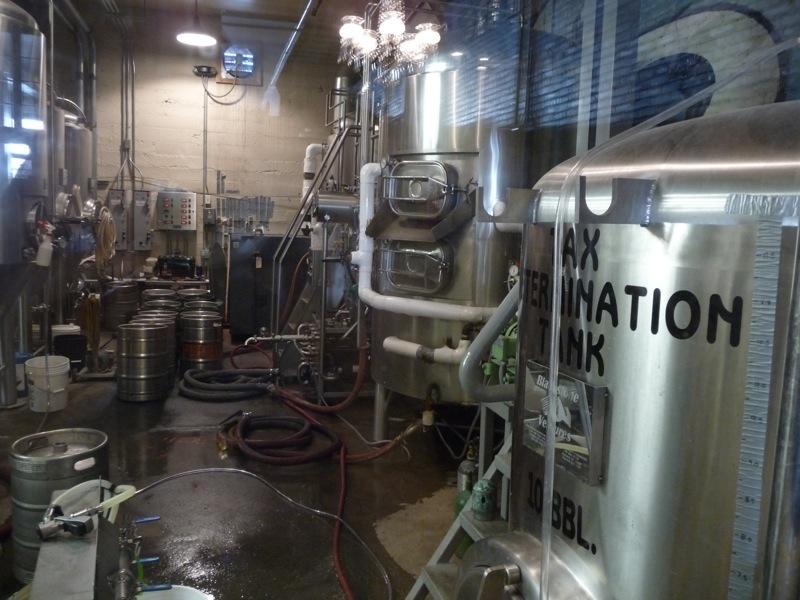 The brewery is located even further back and is visible through a window. Off the bar area there are several other side rooms and alcoves with a range of casual seating options including upholstered lounge chairs, old school desks, and assorted dining chairs. We didn't try any food but the menu looks good - burgers, salad, soup, pasta, onion tart - and the quality of what we saw looked good too. 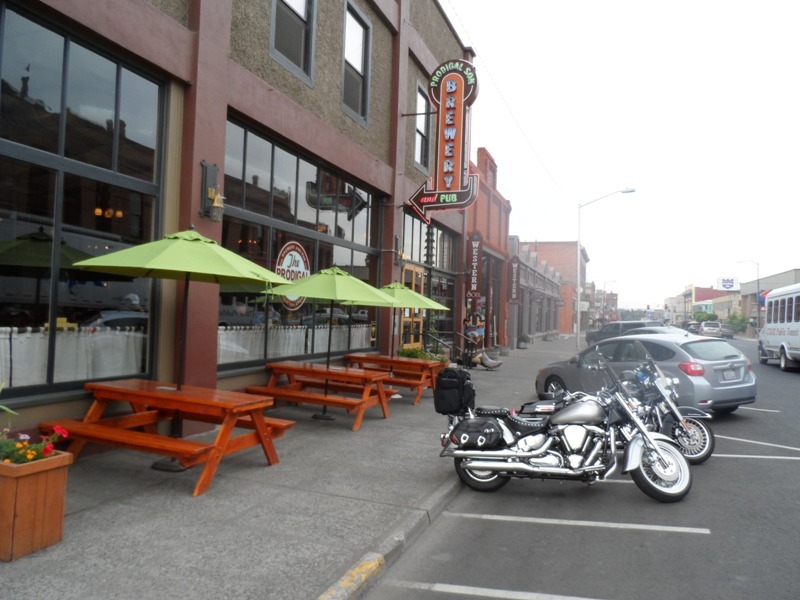 Plenty of parking on the street; growlers and growler refills are available.